There was a time when the prognosis for those suffering a spinal cord injury was bleak. Fortunately, that is changing. Researchers are making significant progress in the understanding and treatment of SCI every day. In fact, the progress has been so significant that Conquer Paralysis Now believes a cure is within reach. We believe the funding provided and the collaborative nature of the SCI Challenge will accelerate the pace of research to the point that a cure will be possible within the next decade. 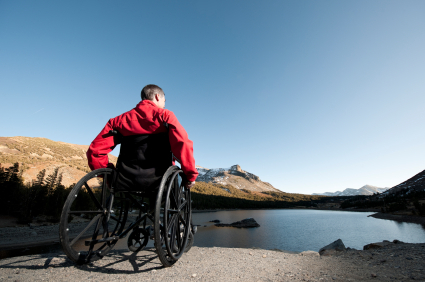 Spinal Cord Injury (SCI) can be caused by traumatic or non-traumatic events. Sports injuries, automobile accidents, diving accidents and falls are common causes of traumatic SCI. The majority of these injuries occur when fragments of bone or vertebrae tear into the spinal cord and disrupt the network of nerves that carries signals through the body. Diseases such as cancer, arthritis and osteoporosis can cause non-traumatic SCI. The spinal cord is the most important connecting structure between the brain and the body. It is divided into five sections (top to bottom): the cervical, thoracic, lumbar, sacral and coccygeal regions. Within these regions, 31 pairs of nerves exit the cord. The nerves are numbered and divided by region: 8 cervical, 12 thoracic, 5 lumbar, 5 sacral and 1 coccygeal nerve. Doctors use this numbering system to classify and determine the impact of SCI. In the least severe cases, SCI can result in minor to intense pain. An incomplete injury refers to SCI where movement and sensation is affected in varying degrees. A more severe SCI can cause complete injury, resulting in total loss of function. Usually, the effects of SCI are felt below the point of injury, so the higher the injury is on the spinal cord, the more significant the impact will be on the body. The American Spinal Injury Association developed the ASIA impairment scale to determine and classify functionality following an SCI. A test performed by specially trained physicians can determine which classification is appropriate following the injury.